WOOT!! We’ve just hit $8000/month on my Patreon page which means I just posted up the Full Monty Tsunami painting for Patrons! Painted by Marccus (NSFW Art Blog), the digital wallpaper features Tsunami in all his muscular, tattooed, Full Monty glory over white. 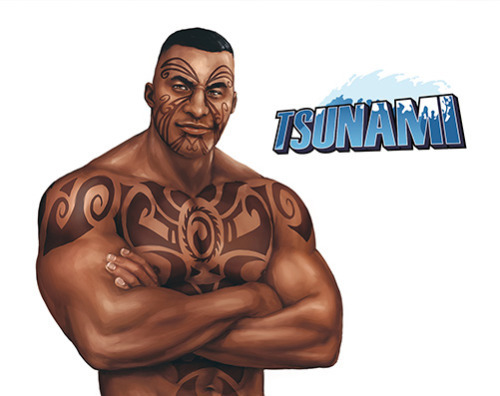 And I really love what Marccus did with this – especially how he painted Tsunami’s chest. If you become a Patron now and pledge $5 or more, you’ll be able to download the whole image as a digital wallpaper right away. And $10+ Patrons will be sent a high-res version with over double the resolution, once payments are processed at the beginning of June!